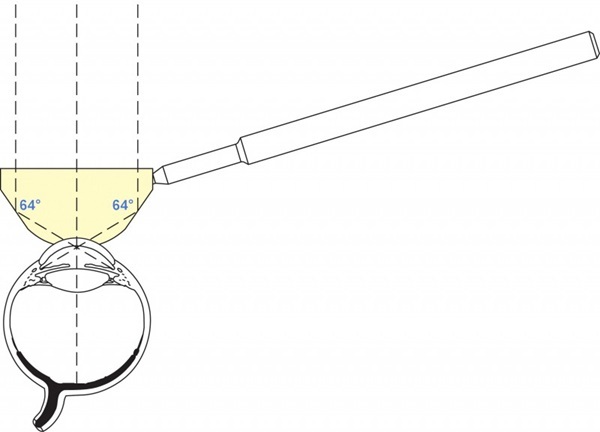 Four 64° mirrors for complete anterior chamber angle viewing with minimal lens rotation. 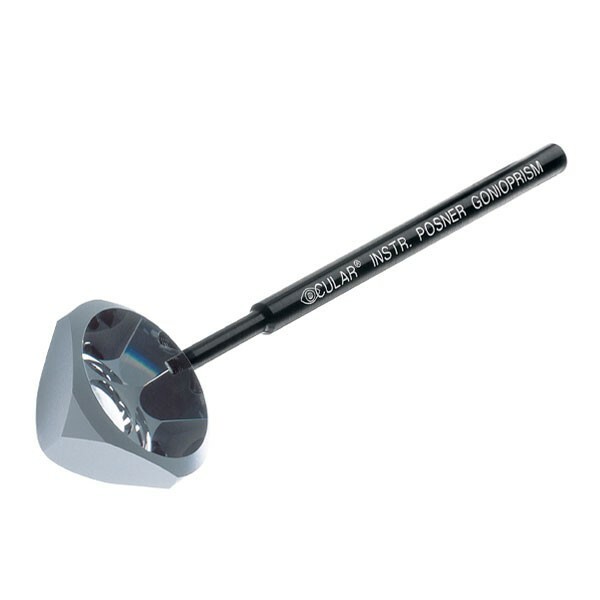 Black round handle set at 17° and 79mm in length. Image magnification of 0.80x, contact diameter of 9mm, and a static field of view of 80 degrees. Lens is 13mm high with flange. Manufactured by Ocular.